This entry was posted in eat, things to do by SidebySide Photography. Bookmark the permalink. AMEN, PREACH IT SISTER!!!! Welcome to the awesome and free and wonderful side of life! You my dear have discovered the secret: YOU MUST READ LABEL’S!!! and with a little planning and a little extra time in the store you can eat almost the same stuff. The planning has to come in the form of a budget because Trader Joe’s is probably going to have to become your new main grocery store! (It’s ours, and we are by no means “well off” in the money department) Also, something to look for is food coloring – RED 40 can hurt you and hurt you bad! I would do your own research (I can’t write it all here) but look for it in yogurt and basically everything, I even found it in prenatal vitamins!!! But read the labels, shop at Trader Joe’s (or Sprouts or whole foods or whatever) and call me if you have any questions – we’ve been doing this for 2 years now and we are doing great! again, WELCOME TO FREEDOM!!!! That makes sense to me! 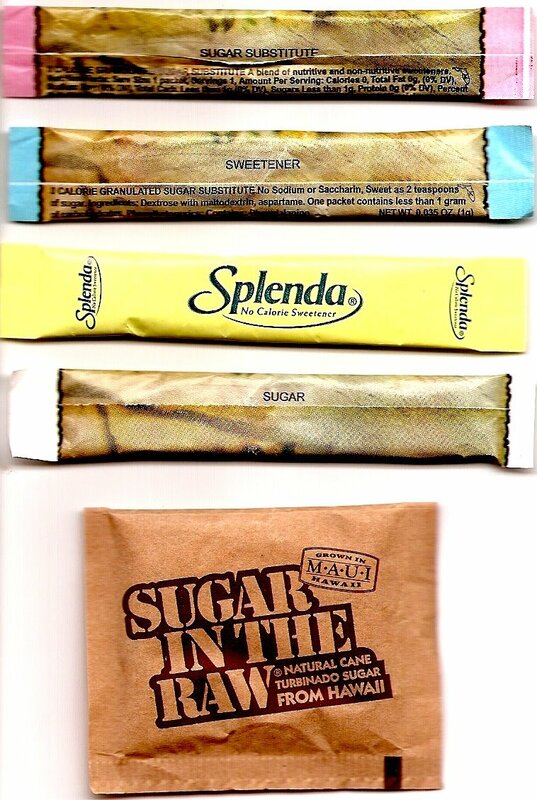 My preferred sugar is raw sugar and I avoid all other sweetners in packet form. But wow, how eye opening is it to realize the chemical sugars (my term since junior high!) is in EVRYTHING! Lip gloss?! I would never have thought about it…I hope you’re able to find out if this is the source of some of your migraines… Migraines=major frowny face. Happy “real” sugaring! My coworker had this weird rash going around her midriff and she kept on thinking it was her body wash, lotion, things like that. It turns out that culprit was Splenda. after many fruitless Dr. appts, she finally figured it out from all of the info on the Internet. amen- i am very anti- artificial sweeteners. I’d much rather eat the real thing in moderation.